When you find your partner in life you stop looking… Why? Well, because you have found the person you want to be by your side for the rest of your life. I feel the same way about my sponsors. When I find what I think are the best products, I will do whatever it takes to keep these partnerships. Yet, I know plenty of other professional athletes who choose to swap shoes and bike and wetsuits and nutrition, year-after-year, chasing money. I don’t claim my way is the right way, but I tried the alternative early in my career and sacrificed performance as a result. Simply, my philosophy is to choose the products that work best for me first. It makes me happy because all the money in the world won’t help on race day if you have an under-performing product. And, while most of the high-end triathlon products are good, that doesn’t mean they are the perfect fit for me. 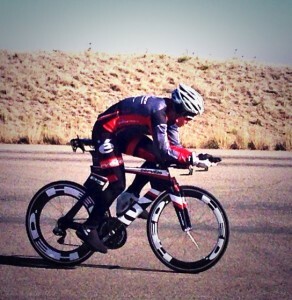 Cervelo P3 or P5, for example, have been my bike of choice the past three years. After riding Cervelo, I could not go back to any other brand. It is no surprise that Cervelo has the best cyclists in the sport riding their bikes. When athletes have to invest in their own bikes, they choose Cervelo, and I think that’s because Cervelo constantly reinvests in research and engineering to ensure that they have the most aerodynamic, responsive, and lightest frames on the market. 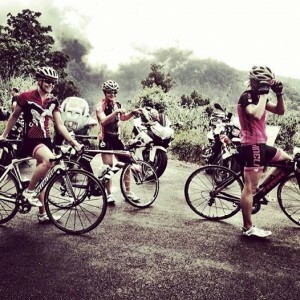 In an Ironman event, you spend most the day on the bike. I want to know that the bike I am riding is the best out there, and I want to know that the people behind it will help me optimize my performance on the bike and use my experience to shape the future of their triathlon bikes. As a swimmer, I am picky about swim gear. So, I have used TYR goggles and swimsuits for years. I always preferred their goggles to any other brand and would buy a new pair for every race. And, their speed suits fit around the chest and shoulders better than anything else I’ve tried. In fact, after several frustrating speed suit issues, including ripping one hours before Ironman World Champs, I actually switched to TYR’s Torque Elite swim skin at my own expense before making them an official partner. Now, I’ve been lucky enough to have them on my team for the past two years, and I wouldn’t recommend anything else. I first tried ON running shoes at the end of 2012 and wasn’t sure I liked them. They were so different from anything else I had run in. Now, after racing and training in the shoes for the past year, I firmly believe they are a competitive advantage. On pavement, the ON shoes have a responsive spring that I haven’t found in any other shoes. 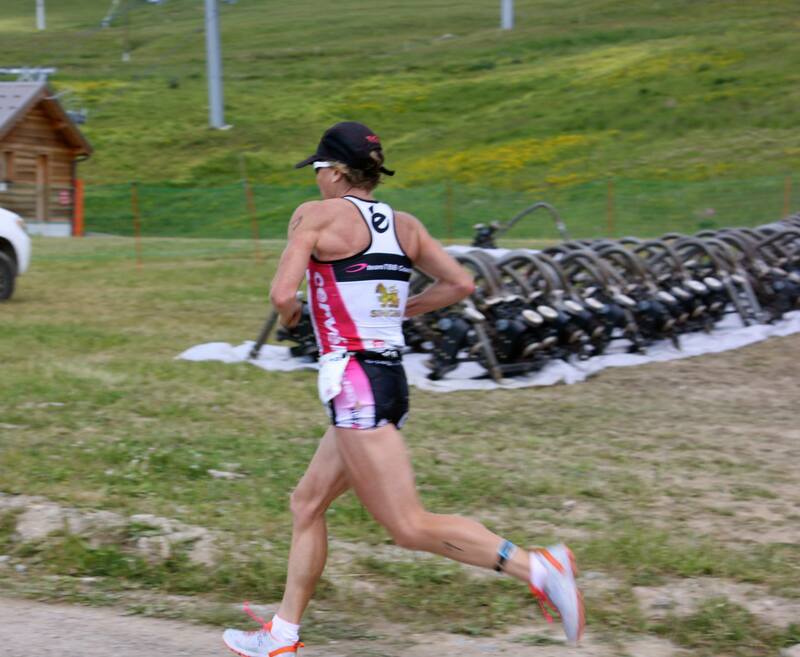 Since I do almost all my racing and a large portion of my training on hard surfaces, I think the ON shoes are perfectly designed for what matters most to me… running my best Ironman marathon. Of course, First Endurance has been my nutrition partner since 2010. I think the Optygen and Multi-Vitamin are imperative to keeping me healthy and recovered on a daily basis. The race and training fuel is the best on the market. Like Cervelo, their team also supports me in creating the right nutrition plan, which is maybe the most personal of all triathlon needs. Last year, I discovered Rotor cranks. Now, I would not go back to a regular crank. I am a masher and these cranks help me make the most of my pedal stroke in the TT position helping to recruit other muscles besides my quads. I can’t wait to try the new Rotor power meter this season and think it will help elevate my cycling performances. I have ridden on Cobb Saddles since 2011 and love their saddles. I have used all the other brands but find the Cobb to be the most comfortable. I have just switched to the JOF -Just off the Front – saddle and it fits me perfectly. Like nutrition, saddles are a very personal choice (servicing a very personal area!) but I can’t imagine liking any other saddle as much as I like the Cobb saddles. I was lucky enough to race on HED Wheels at the end of last year and will continue with these wheels. While most race wheels feel fast, these wheels also feel durable and stable in crosswinds and on a technical course. I put a lot of trust into my wheels and knowing that I am on safe, fast, durable ones puts my mind at ease. Last year at Kona, I needed an aero helmet and I hadn’t been satisfied with many. Sure, it’s important that the helmet be aero. 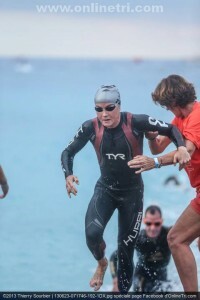 But, for me, I needed something with ventilation to keep me from over-heating since, including Kona, I prefer hot races. So, my husband did some research, and he came back with one name… Rudy Project. The helmet was perfect. And, to my surprise, the sunglasses were even better than I had imagined. They’re light, the lenses are beautifully clear and they’re easily adjustable for a perfect fit on race day. While I had a good relationship with Oakley and loved their glasses, I found that Rudy was perfectly matched to my needs and my sport. I travel… a lot. It’s the life of a triathlete, flying from continent to continent chasing warm weather and key races. So, while many of my sponsors make great transition bag, I wanted to partner with a company that made great bags for everything I do. Fitmark has given me strong, travel-ready bags that also look great. Hey, I’m a girl. Bags are more than a utility after all! This doesn’t mean I won’t test new things, but I do think when you have found the best why mess with it. Like the speed skating federation in its recent roll out of largely untested speed suits, I think too many triathletes are searching for a secret when there is none. The real secret is finding what works and doing everything in your power to keep it working optimally. So, choose wisely my friends. Your race depends on it. Your viewpoint is very refreshing. After looking at the slowtwitch summary of all the bike switches it is obvious that a lot of athletes are chasing dollars. I am sure that the same goes for other products.